Physics graduate student and U.S. Army veteran Luis Morales is one of 11 military veterans who was honored by the National Science Foundation (NSF) with Graduate Research Fellowships on November 5, 2014 in Washington, D.C. During the official visit to the NSF headquarters, the group was recognized with a formal ceremony highlighting veterans and their contributions science, technology, engineering and mathematics fields. The 11 fellows will also participate in a poster session to discuss their research and personal motivations in pursuing graduate school in their field of interest. 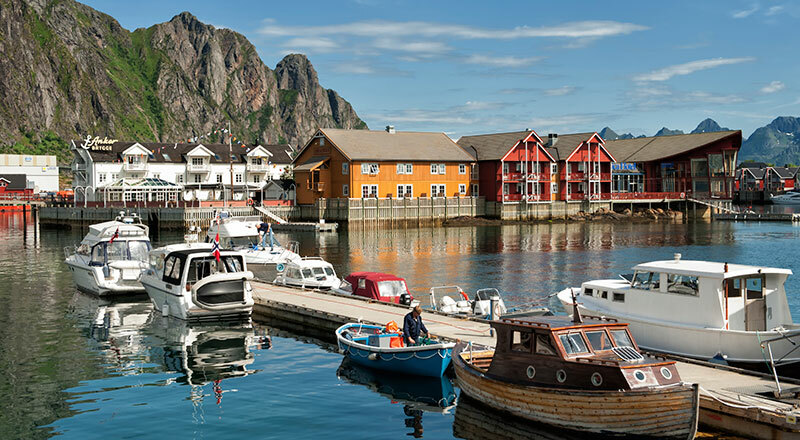 Norway is the best prepared country for climate change, and has been so for almost 20 years, according to data released Wednesday (Nov. 5) by the University of Notre Dame Global Adaptation Index (ND-GAIN). ND-GAIN is the world’s leading annual index that ranks more than 175 countries based on their vulnerability to climate change and their readiness to adapt to the droughts, superstorms and natural disasters that climate change can cause. Prashant Kamat, the Rev. John A. Zahm, C.S.C. Professor of Science in the Department of Chemistry and Biochemistry and concurrent professor of chemical and biomolecular engineering, has been elected as a Prevasi Fellow by the Indian National Science Academy. 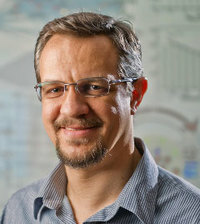 Kamat was selected for his “most pioneering contributions to the world of science.” His fellowship will begin January 1, 2015. 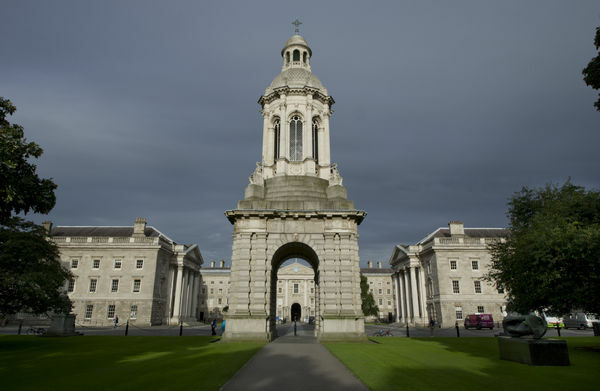 The Naughton Fellowship program allows students with a background in, or aptitude for, STEM fields to experience international research and educational opportunities through a funded exchange program involving the University of Notre Dame and four of Ireland’s leading research universities. A team of University of Notre Dame scientists, in collaboration with researchers at the University of Connecticut, have announced the results of a new study on identifying potential targets for personalized cancer vaccines. The paper, “Genomic and bioinformatic profiling of mutational neoepitopes reveals new rules to predict anticancer immunogenicity,” was recently published in the Journal of Experimental Medicine. The research group at Notre Dame was led by Brian Baker, associate dean for research and graduate studies and professor of chemistry and biochemistry, and included Steven Corcelli, associate professor of chemistry and biochemistry, and graduate student Cory Ayers. Gary Lamberti, professor of biological sciences, was recently appointed as a member of the Independent Science Advisory Panel for the Missouri River Recovery Implementation Committee (MRRIC). The panel is responsible for advising the watershed management plan and aquatic recovery efforts for the Missouri River, the longest river in North America that drains ten states and two Canadian provinces and joins with the Mississippi River to form the fourth largest drainage system in the world. The late R. Catesby Taliaferro, professor of mathematics, was an integral part of the Notre Dame community for many decades. He came to Notre Dame in 1952 to work in the Great Books Program, which is now the Program of Liberal Studies (PLS). He relocated to the mathematics department in the mid-fifties and began teaching a course on rational mechanics. Talliaferro soon stood out as an educator and became known for his unique teaching style and his high standards for student performance. His rational mechanics class became so popular that he taught the course through the late 50’s, 60’s, and early 70’s. In celebration of this year’s National Chemistry Week, Jordan Hall of Science turned into a veritable sweet shop of marshmallows, ice cream and M&Ms, all in the name of science. Chemistry has never sounded so sweet. Every month, Notre Dame students gather in the Jordan Hall of Science to learn about ongoing scientific research at the University. Called Talk Science, this monthly event is organized by Scientia, Notre Dame’s Undergraduate Journal of Scientific Research. Students enjoy pizza and beverages while listening to presentations by undergraduate and faculty researchers. These presentations encourage students to engage with research outside their disciplines and give them a glimpse of a few of the myriad opportunities available for research at Notre Dame. On Wednesday, October 8, students heard from Jeff Hansen and Professor Brian Baker. 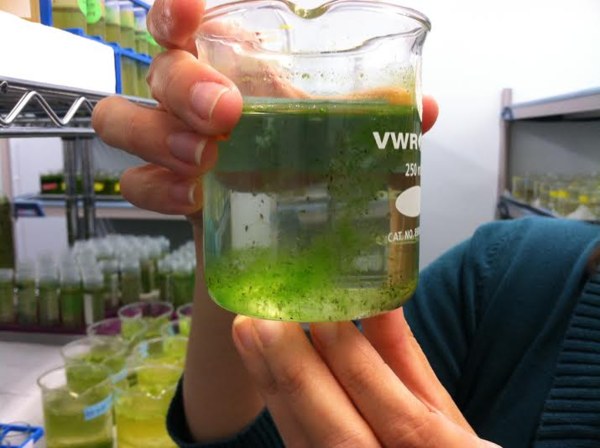 In 112 Galvin Life Science Center, you will find jugs of bubbling green solution containing single-celled algae. Michael Hildreth, professor of physics, recently accepted a three-year term to serve on the National Science Foundation Advisory Committee on Cyber-Infrastructure. The committee advises the National Science Foundation on matters related to vision and strategy regarding solutions to problems of efficiently connecting laboratories, data, computers, and people, with the goal of better enabling computational and data-enabled science and engineering. His term with the committee will begin Spring 2015. Rich Taylor, associate vice president for research and professor of chemistry and biochemistry, presented a paper on his research, "Chemical and Biological Synthesis of Polyketide Natural Products", at the 2014 Gordon Research Conference on Natural Products at its annual July meeting. During this year’s conference, Taylor was elected Vice-Chair of the 2015 and Chair of the 2016 conferences to be held at Proctor Academy in Andover, N.H. This annual international meeting provides a forum for experts to share unpublished research results and engage in scientific discussions. Three University of Notre Dame faculty in the College of Science will speak about their research at 7 p.m. Wednesday (Oct. 15) in the Leighton Concert Hall at the DeBartolo Performing Arts Center. 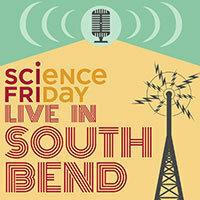 They will appear on the national radio show “Science Friday” to be broadcast on National Public Radio stations across the country. ND Unite to Fight Ebola, a campus group aimed at providing relief to West African communities devastated by the disease, has partnered with Hospital Sisters Mission Outreach of Springfield, Ill., to deliver supplies to the region. The group aims to raise money by Oct. 17 for a first shipment of medical supplies, and the effort will continue. Excellence in science, technology, engineering and mathematics (STEM) is critical for the nation’s continued social and economic well-being and security. In order to foster growth in these disciplines, the University of Notre Dame’s Center for STEM Education is launching the Trustey Family STEM Teaching Fellows Program. A unique partnership initiated by the Harper Cancer Research Institute and consisting of clinical partners from The Medical Foundation (TMF), Saint Joseph Regional Medical Center (SJRMC) and Beacon Health System (BHSMH) will provide an individualized “molecular portrait” to SJRMC and BHSMH cancer patients. This past Saturday (September 20), the College of Science held its fourth annual Diversity, Culture, and Religion in Science course. This one-day, one-credit course encourages students to consider the role of these three important facets of personal identity in their future endeavors. The course attendees listened to variety of speakers, ranging from successful businesspeople to professional athletes. Students also interact with the speakers and with each other throughout the day to consider diversity-related issues on campus. Fifth year chemistry graduate student Abigail Weaver recently received a 2014 Baxter Young Investigator Award for her research project, “New Analytical Tools for Qualitative Pharmaceutical Analysis in Field Settings.” Weaver earned a $2,000 cash prize and the opportunity to present her research on-site at Baxter International in Deerfield, Ill. earlier this month. The Center for Nano Science and Technology at the University of Notre Dame recently announced the finalists for the fourth annual NDConnect undergraduate nanotechnology research competition. The finalists were selected from applicants who submitted research proposals in the spring, then followed up with a report in August documenting their research findings. 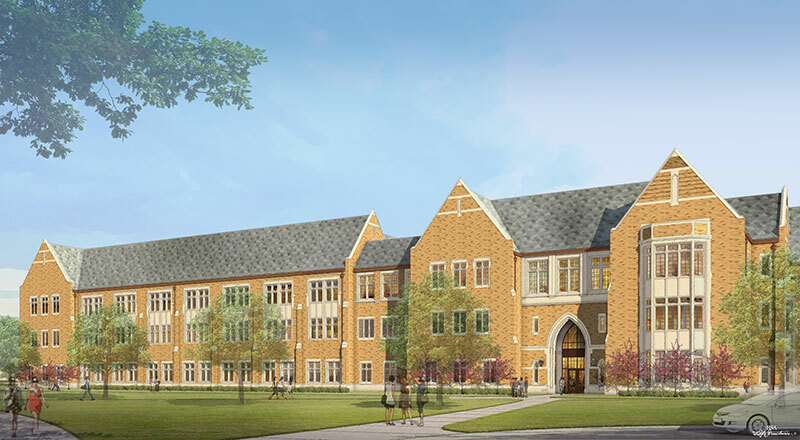 The University of Notre Dame is dedicated to providing an unsurpassed education to its students. Integral to that mission is bringing new and innovative teaching methods to the classroom. Over the summer the Academic Technologies Group in the Office of Information Technologies (OIT) and the College of Science installed a new teaching tool called the Lightboard, which is used to create short videos intended to complement teaching efforts. The Lightboard consists of a glass board for writing notes and a camera to film the professor. 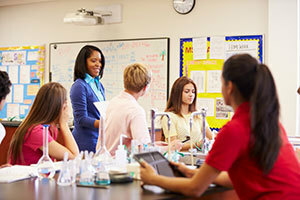 It can also incorporate PowerPoint or Keynote slides onto the board that can be annotated by the professor during filming.